These 'animal' positions are used throughout the School day e.g. sitting in the Gorilla position for the Teacher's input, waiting in line for Assembly in the Penguin position, answering the register in the Meerkat position. The children can also be encouraged to use these positions at home e.g. watching the television or using their tablet whilst in the Lizard position, listening to a story in the Lion position, reading their reading book in the Gorilla position. This activity helps children develop their shoulder strength. 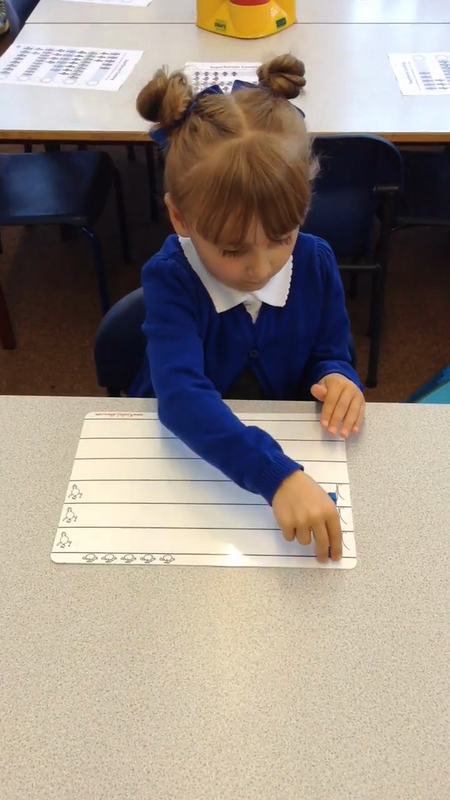 Children develop the more they practise. 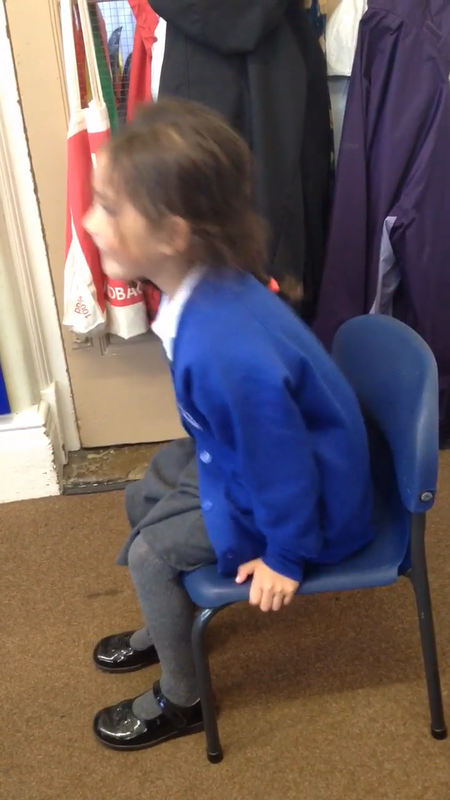 Children need to push up on their arms and raise their bottom off the chair. They should build up to holding the position until their arms tire! Eventually children will be able to raise their bottom and their feet off of the floor! This simple activity helps the hand build strength for it’s two roles - ‘manipulation’ and ‘strength and stability’. 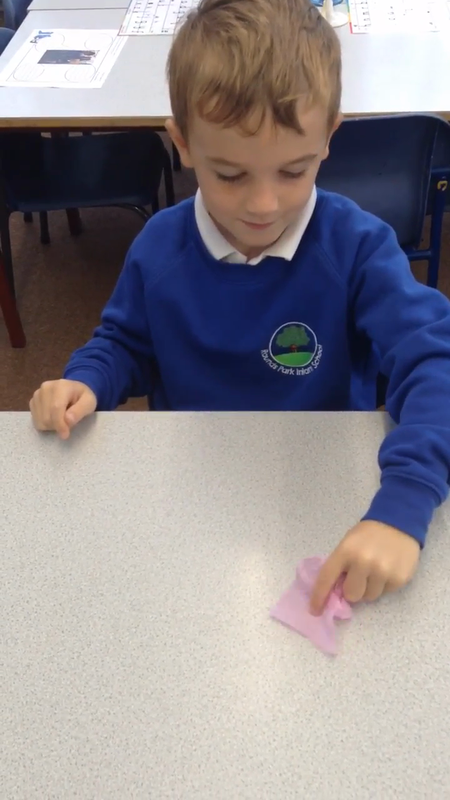 This simple activity gives children’s ‘Three Friends’ a mini workout! It also helps children to practise the role of the ‘resting fingers’ as they hold a coin whilst the tower is being built! 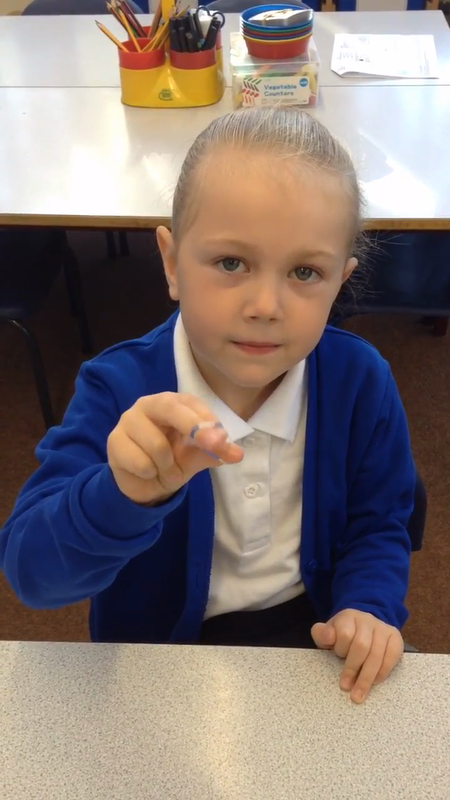 This simple activity, using a ‘loom band’ can aid children with developing their finger strength and dexterity. During our Kinetic Letter lessons (and for some of our other lessons), we position ourselves in the 'optimal floor working position' or 'Lizard position' as known by the children! This position provides stability with a strong pelvic girdle, supports the upper body with a strong shoulder girdle and arms and wrist are kept in the correct position by the weight of the body. Children like working in this position as they find it comfortable laying on their tummy, it supports their concentration as they are all facing in the same direction in their own space and it supports and builds their physical strength.